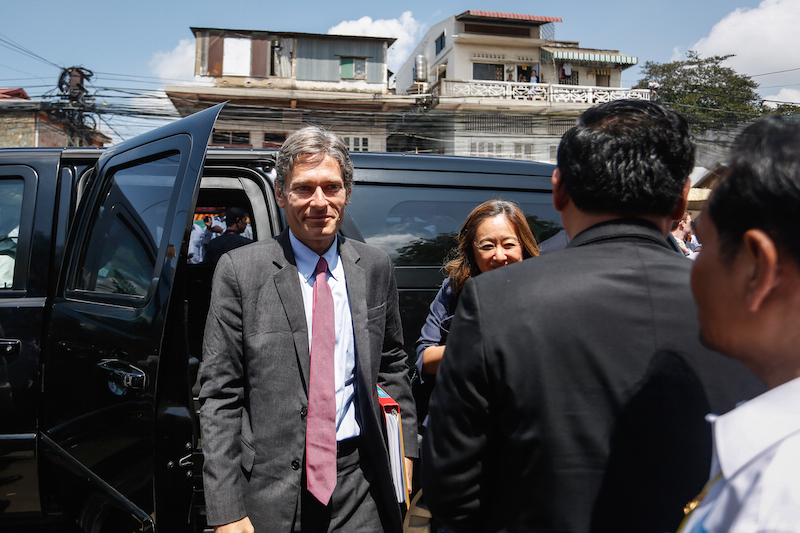 U.S. Assistant Secretary of State Tom Malinowski visited deputy opposition leader Kem Sokha on Monday inside the CNRP’s headquarters in Phnom Penh, where he has been hiding for nearly two months amid threats by the prime minister to imprison him for life. Mr. Sokha took sanctuary in the building when police attempted to arrest him on May 26, and Mr. Malinowski’s high-profile visit followed others by foreign ambassadors over the past month. Mr. Sokha’s adviser, Muth Chantha; his daughter Kem Monovithya; and CNRP lawmaker Nhay Chamroeun also attended the meeting, which took place after celebrations for the fourth anniversary of the CNRP’s birth as a united opposition party in July 2012. Since November, when a prison sentence against opposition leader Sam Rainsy was resurrected, the government has aggressively pursued its critics, focusing on Mr. Sokha but also imprisoning another lawmaker, an elections official and four rights workers. 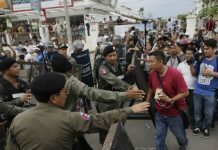 Kem Ley, a popular political analyst and frequent government critic, was shot dead on July 10. 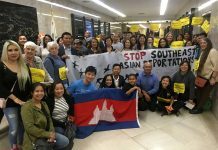 Mr. Rainsy said by email that the visit by Mr. Malinoswki—as a representative of “the recognized bearer and defender of universal values such as democracy and human rights”—was important in showing Mr. Hun Sen that his regime was at risk of losing its legitimacy. 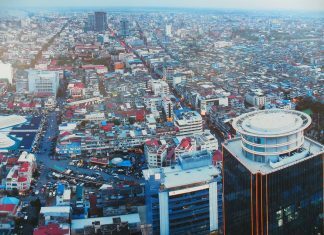 “Only the prospect of ‘delegitimization’ can push Hun Sen to reverse his authoritarian drift and to show more respect for democratic rules and principles,” he said. CPP spokesman Sok Eysan, however, said that he did not believe Mr. Malinowski’s visit pointed to concerns about Cambodia’s government. “I think it’s not clear that he supports the opposition party that breaks the law. These are diplomatic words. Wait and see when they go back, what they do, and from that we can make conclusions,” he said. 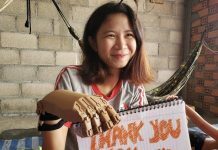 In the afternoon, Mr. Malinoswki also met with Uch Borith, a Foreign Ministry secretary of state, who told reporters afterward that the official raised concerns about the detention of rights workers and opposition politicians.